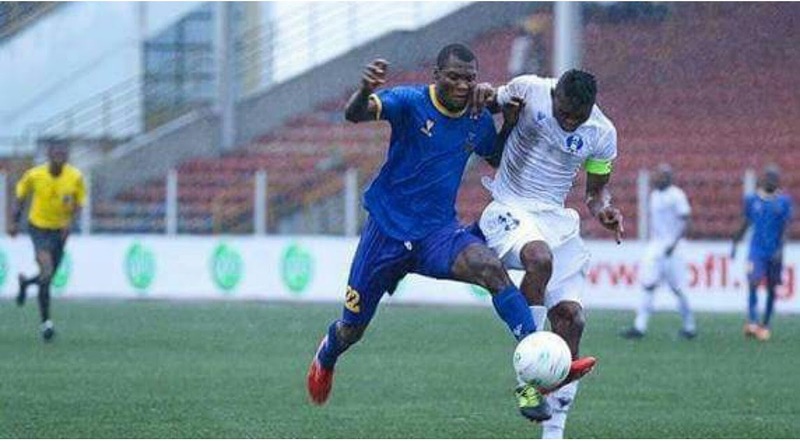 Ahead of the match day 36 encounter between Warri Wolves and Shooting Stars Football club of Ibadan on Sunday, the reliable forward Sikiru Alimi has revealed that Wolves are battle ready to do the job in a convincing way in Warri. Alimi spoke extensively to Soccernet.com.ng on how the next game is so important to the team as they fight to escape relegation. “We have determined to play the next game with all seriousness, we can’t afford to drop points anymore and the team is relentlessly working to remain in top flight football next term,” he said. Oluyole warriors had earlier lost 2-1 to Wolves in Ibadan back in May, when King Osanga and Joseph Eyimofes’ strikes secured the maximum three points for the team, though Najeem Olukokun’s stunner was not enough to salvage a point for 3SC on the evening. “The injury is not so fair to us, we’ve lost so many players to injury during the second stanza of the league, we are working extremely hard to put the defeat in Port Harcourt behind us, we are set to defeat 3SC once again this season” The Osogbo born striker said. Shooting Stars have garnered four points from their previous five away games. They are currently 14th on the NPFL log and six points above the relegation threatened Abia Worriors. Warri Wolves currently occupy 16th position on the log with 39 points, a point above safety. A win for them on Sunday will further boost their chance of survival.